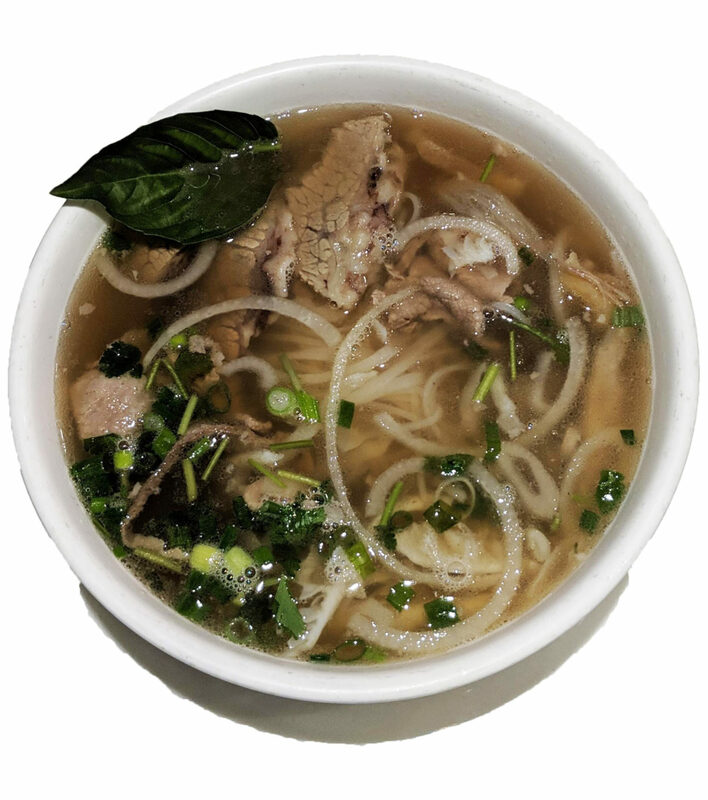 Jacob Trivedi | The Phoenix Located near Loyola's Lake Shore campus, Le's Pho serves out-of-this-world delicious Vietnamese soup. Have any of you experienced a parent walking into your room early in the morning and yelling at you to get up? That was the polar vortex for me this week — a helicopter mom trying to kill me. Soup is a staple in every culture that I have had the pleasure of experiencing. Pho is this staple in Vietnam. Pho is a noodle soup served with thin slices of beef, onions, thai basil, and a bone broth cooked for over 12 hours. Le’s Pho (4925 N. Broadway) is the perfect restaurant to become acquainted with Vietnamese cuisine. Its extensive menu includes a variety of soups, noodle dishes, rice dishes and appetizers — perfect for the unrelenting Chicago weather. My experience with Vietnamese food began with a close family friend of mine. Her name is Tram and she’s a refugee from Vietnam. Towards the end of the brutal war, her family escaped into Cambodia and emigrated to the United States. Tram introduced me to Vietnamese food when I was 4 years old, and the rest was history. Le’s Pho is located off of the Argyle Red line stop or off the 36 bus heading south. When you enter the restaurant, your eyes will be enamored by shimmering white walls sharply contrasted by red furniture. As the neon sign flickered across the banister, I sat in a lonesome seat next to the frost-covered window. I ordered pork and shrimp spring rolls and the house special pho called Pho Dac Biet. This dish has brisket, sirloin, liver pate and tripe. As I waited for my food, I had a moment to reflect on the other patrons in the restaurant. I noticed a group of Koreans who were talking about how long it has been since they all had a meal together. Next to me was a couple that spoke in Mandarin about their future plans after they get married. This was just another moment when I realized food brings people together. I was served my spring rolls with a side of hoisin sauce garnished with crushed peanuts. Hoisin is the Asian cuisine equivalent of barbecue sauce. Fresh spring rolls are not fried; they’re made with rice paper which gives off a gummy texture. At first a person may be scared to eat this dish, but once the flavor of the barbecue pork, fresh shrimp and Thai basil hits your mouth, you will be asking for seconds. I love having spring rolls as a palate cleanser for my pho because of how crisp the flavors are. Last but not least, the pho had arrived. I was given a steaming hot bowl of soup. The sirloin was still red, but it’s done on purpose because the heat from the broth cooks the meat since it has time to rest in the bowl. As I inhaled this soup, my body went through sensory overload. I smelled beef, basil, and caramelized onions. I saw steam dancing off the bowl. I tasted licorice, salty beef and soft noodles. My body was warm and my mind was content. By the end of bowl, I was asking for more. Pho elevates the body and the mind, especially in this weather. My meal was less than $20. No dish on the menu is more than $11 and I guarantee you’ll have leftovers. Head on over to Le’s Pho and experience Nirvana yourself. Give them a call at 773-784-8723. 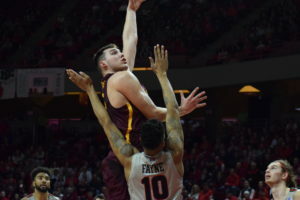 Column: Who Will Be the MVC Player of the Year?